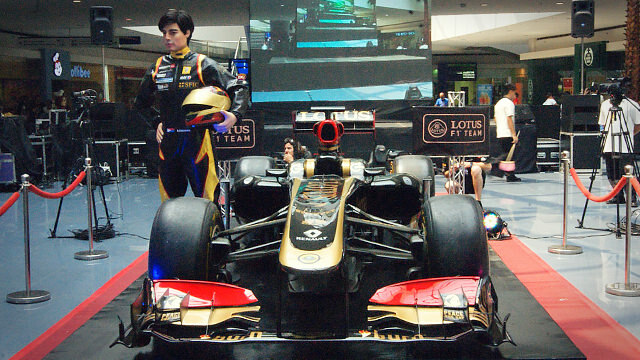 The moment Lotus F1 announced they would be headlining the first-ever Manila Speed Show, I was thrilled. I was excited - not so much by seeing an F1 car run in the flesh again (which I hadn't done so for 3 years before this weekend), but by F1 actually being in the Philippines - a true first. F1 (or even motorsport in general) has a small but significant following in the country, one that has seen little in the way of true Filipino racing greats. 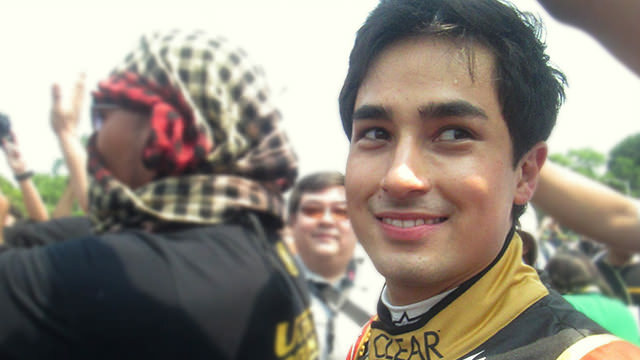 But Marlon Stockinger burst onto the Filipino motorsport radar last year after winning the 2nd GP3 race at Monaco and finishing inside the top ten in points at season's end. Indeed, Marlon, currently racing in Formula Renault 3.5 as a Lotus F1 Junior driver, may well be the most talented Filipino driver we've seen in the last fifty years - since Dodjie Laurel won at Macau. 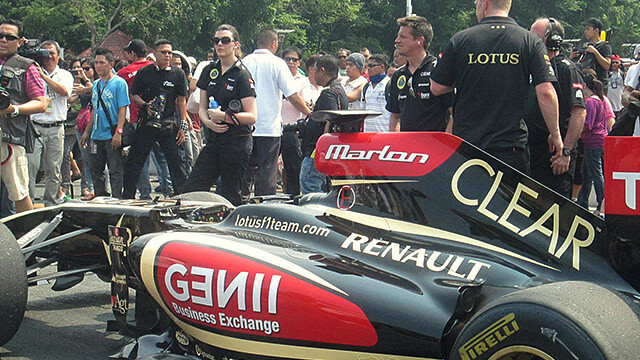 So to me, Lotus and Marlon bringing and running an F1 car in Manila was in itself a significant event. And it could well bring in more Filipino fans to support Formula 1, Marlon, and his quest to get an F1 drive - if the event was handled properly. Even before the event, I already had concerns. There wasn't much in the way of details being announced through the event's Facebook page. There was a schedule of activities on the event's website, but the website wasn't even visibly posted on the Facebook page. Still, as May the 4th came, I was reasonably optimistic that we'd see a lot of demo runs (from both F1 and modified road cars). The program was scheduled to start at Manila's Rizal Park in the morning, before moving to the SM Mall of Asia in the afternoon. 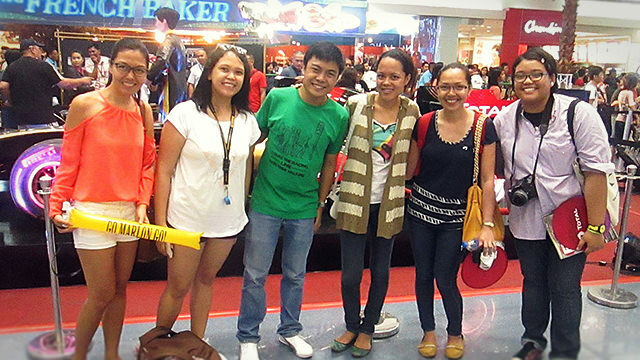 As I had errands to do, I skipped the morning runs and went straight to Mall of Asia for the afternoon program. But I did have a friend (who's posted here in the past as Mergoth) who managed to go to Rizal Park in the morning. It's hard to think of a public F1 roadshow as an intimate event, yet that's exactly what it was. With only a few people on hand to watch Marlon's historic run, it was very easy to get close to the F1 car and our fellow Filipino driver. It was just a bit of a shame that while Marlon was running in front of the Grandstand, the PA system turned up the music, drowning out the sound of the Renault engine. The afternoon program took place in heat that reminded me of Sepang. Despite that, I still met up with Mergoth and some of my other F1 friends. We were in the F1 Village in time for the 2pm program start, where we saw... not much happening at all. There were plenty of booths and cars on display, but no program. Worse still, there were no announcements as to what time the program would actually start. That turned out to be the start of quite a long wait - more than an hour and a half, in fact. And in the heat, waiting that long was exhausting. We were honestly beginning to wonder what, if anything, we'd actually end up seeing that afternoon. But finally, just before 4 PM, we heard the familiar roar of a V8 engine. 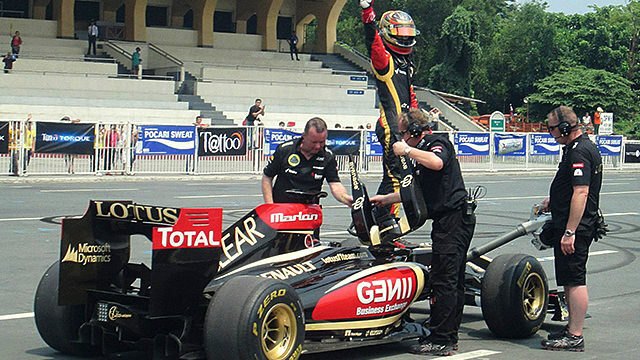 Marlon finally took the Lotus-Renault F1 car out for a spin. And it was good to finally see, hear, and smell an F1 car in anger again, even if only for a couple of laps. There was something very old-school about the run. A few hundred people lined the streets, with little more than thin rope in some places keeping them back from the road and an F1 car hurtling at almost 200 miles an hour. For many of them, it was their first time to see an F1 car running in the flesh. My friend, Patty, was one of those first-timers. She described it best: "The sound of the car reverberates, rips though your soul." Everyone agreed - it was amazing to witness a little bit of history with an F1 car running in Manila. After that, there was... just a lot of silence for a while. We were promised a show, with all sorts of cars coming out to play. Yet, other than one or two modified road cars that zipped by, there wasn't much of a show to speak of. Given that they were nearly 2 hours late, I guess they just ran out of time to have the full-blown show. Or perhaps they couldn't convince the Mall of Asia people to keep the roads closed long enough. Whatever the reason, it left me somewhat disappointed. In any case, a man on a scooter went on the course and announced that there would be a meet and greet at the end of the afternoon. With nothing else going on, me and my friends duly headed to the mall's Atrium, where we saw a Lotus F1 show car on display, and... a rather creepy Marlon in mannequin form. After a couple of hours (most of which was spent standing in line), the real Marlon showed up. As he talked to the assembled crowd, he was actually soft-spoken and perhaps a bit shy. Even so, he was definitely down-to-earth and seemed genuinely glad to be there with his fans. After he spoke, the meet and greet began. As we had the good fortune of being towards the front of the queue, we didn't have to wait too long. As I didn't own much in the way of Lotus (Enstone) merchandise, I asked him to sign a Lotus (Caterham of Leafield) cap instead in jest. I caught him a bit unawares, but he gamely signed the cap anyway. I tried to strike up a quick chat with him (as I also did in my previous autograph-signing experience), but he said little and just smiled back. Perhaps he really was shy after all. 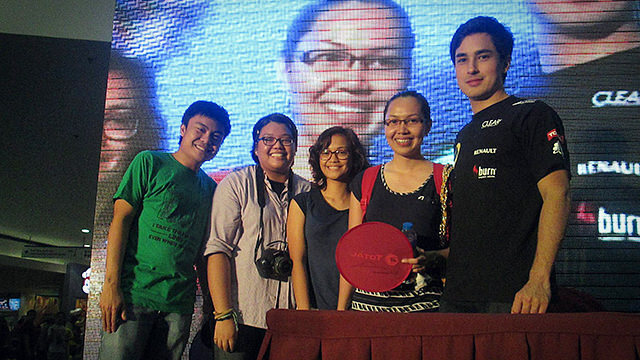 The good thing was, unlike other autograph sessions, the organizers were very generous in allowing the fans to have their pictures taken with Marlon. It was a happy moment for us all. But at the end of the day, all of us in the group felt that while we had a great day and an amazing experience, it could've been so much better. There could've been better publicity (by airing commercials in addition to the few billboards and TV interviews they had). There could've been much better coordination with the Mall of Asia management (by having the mall PA system tell other mall-goers what was going on to create more interest and bigger crowds). There could've been even more attractions for the fans (by running more of the exhibition road cars that were just sitting in the F1 village). Between these and the other little details I've mentioned that the organizers seemed to overlook, I was left a bit wanting. As a long-time F1 fan who's been fortunate enough to visit a Grand Prix, I expected more. Perhaps I expected too much. But perhaps that's because I know it will be a while before this can happen again - if it will happen again. Any chance of a repeat will really depend on Marlon's racing career from here on in. As of this writing, Marlon is enduring a difficult start to his rookie FR3.5 season, with no points to show for after 4 races. But this isn't the first time it's happened to Marlon - he also scored no points in his rookie GP3 season in 2011. Given the much-improved form he had in 2012, I am confident he has the ability to bounce back once again. I just wish he does so sooner rather than later. An F1 team expects, and a hopeful nation awaits.